In January I did this illustration for the Natural History Museum in London. 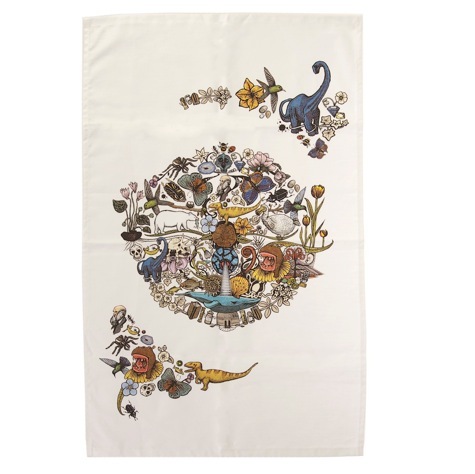 They needed a fresh image for their own-range giftware, and this was created using fineliner pens and time spent in the Museum itself, along with hours poring over their massive photo library. It's finally in the museum so I'm allowed to share it! The illustration had to summarise the enormity and breadth of their collection along with the unique architecture of the building. Creating this illustration combined everything I love to do: observe and study nature, draw challenging new things (ie: "animals are not my strong point!") and work in a detailed and accurate way, while being invited to flavour the image with my own style and atmosphere. (There are two more dinosaurs, one skeletal and one whole (Bronto?) but I've lost the notes for these! Maybe you can advise? Images are shown on my website here. 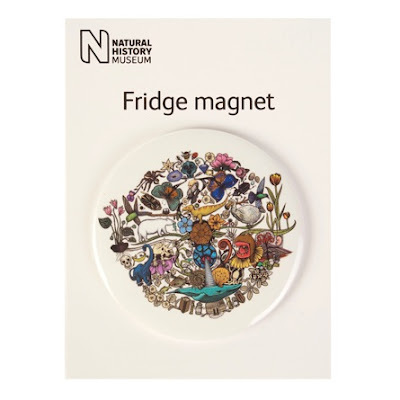 and you can buy the NHM's illustrated goodies here.